Zoë’s most recent disc, ‘The Last Island’ (the chamber music of Sir Peter Maxwell-Davies) with Hebrides Ensemble won an EMV award for New Music Recording of the Year. South-African born Zoë Beyers has established a reputation as one of the finest violinists based in the UK, and performs as soloist, chamber musician, director and orchestral leader across the world. 2018’s BBC Proms saw Zoë lead the BBC Symphony Orchestra under Sakari Oramo and Karina Canellakis, the BBC Philharmonic under Juanjo Mena and give two performances of Stravinsky’s L’Histoire du Soldat with the Hebrides Ensemble. Zoë’s remarkable versatility was nurtured by Gabrielle Lester and Felix Andrievsky at the Royal College of Music, where she was an ABRSM international scholarship holder, Yehudi Menuhin Scholar, winner of the Tagore Gold Medal, and winner of the UNISA String Competition in South Africa. Since her solo debut aged eleven with the Swedish Chamber Orchestra under Paavo Järvi, she has performed with many distinguished conductors throughout Europe and Africa. 2017/2018 saw Zoë perform Milhaud’s Le boeuf sur le toit (ESO/Woods), Sir Peter Maxwell Davies’ A Spell for Green Corn, Sibelius and Korngold concerti (Norwich Philharmonic Orchestra), Prokofiev’s 2nd Violin concerto and the Walton concerto (Corinthian Chamber Orchestra/Seal). In 2016 she recorded and filmed Vaughan Williams’s ‘The Lark Ascending’ with the CBSO for Sky Arts and appeared as soloist/director with the BBC Philharmonic. Zoë is a member of the internationally renowned Hebrides Ensemble, and also performs, broadcasts and records with the Nash Ensemble, Birmingham Contemporary Music Group the Scottish Ensemble, and I Musicanti. She has collaborated closely with Francois Leleux, Stephen Osborne, Lars Vogt, Elisabeth Leonskaja and Alexander Janiczek, and composers Helen Grime, Huw Watkins, Oliver Knussen, Sir Peter Maxwell Davies and Sir James Macmillan. Her 2017 recording of Maxwell Davies’s late chamber works with the Hebrides Ensemble, (‘The Last Island’/Delphian), featured on BBC Radio 3 and attracted top ranking reviews in The Times, The Guardian and BBC Music Magazine. In 2018 Zoë will tour Israel and perform at London’s Wigmore Hall with the Nash Ensemble, record a disc of Scottish composer Nigel Osborne’s chamber works and tour Austria with the Hebrides Ensemble. The 2018/2019 season will see Zoë perform regularly with the English Symphony Orchestra as a soloist and director, as well as in her role as their concertmaster. Zoë relishes the challenge of directing from the violin: her recording of early Mendelssohn concerti with the University of Stellenbosch Camerata was nominated for a SAMA award in 2011; her 2013 recording of Wassenaer concerti armonici (directing the Innovation Chamber Ensemble for Somm Records) was Classic FM’s CD of the week, and their 2014 disc of rare Elgar works was received with critical acclaim. As an orchestral leader, Zoë appears with the City of Birmingham Symphony Orchestra, the BBC Philharmonic, Symphony and Scottish Symphony Orchestras, the Philharmonia, the Scottish Chamber Orchestra and the Aurora Orchestra. This season, she will regularly guest lead the Orquesta Nacional de España at the invitation of Juanjo Mena. She features as leader on many highly regarded recordings by Andris Nelsons, Juano Mena and John Storgards, most recently on discs of de Falla and Ginastera with Mena and the BBC Philharmonic for Chandos. Zoë is dedicated to performing the music of contemporary composers and is involved in the commissioning and premiering of several new works. 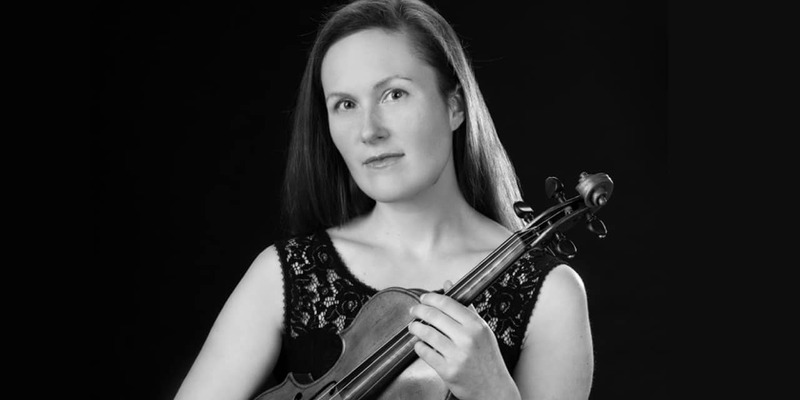 She also has a passionate interest in education, teaching at the Birmingham Conservatoire and coaching violinists and ensembles at the start of their careers. She is proud to be involved in ARCO, a distance learning collaboration between Birmingham Conservatoire and students in deprived areas of South Africa. 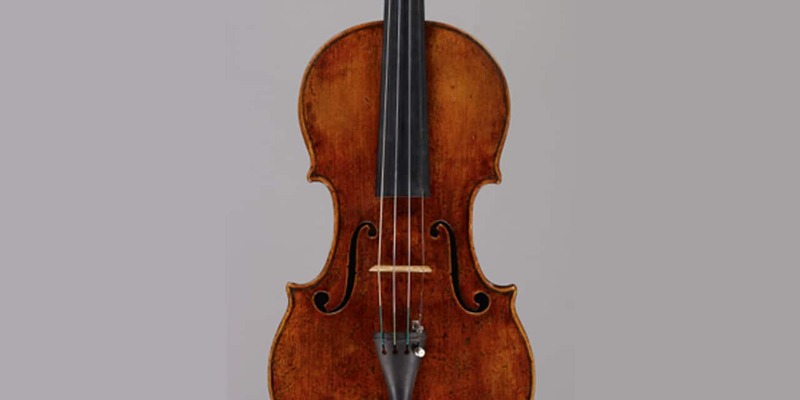 A fine old Italian instrument, the work of Pietro Antonio Landolfi of Milan.